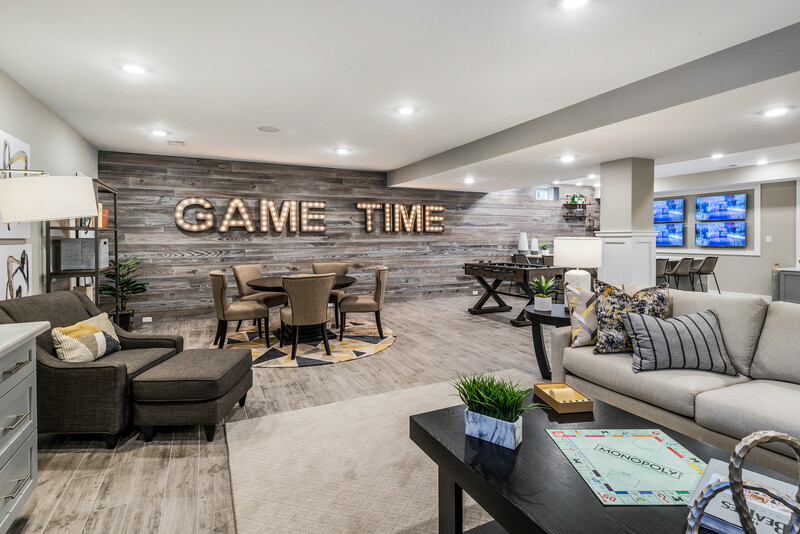 Transform your basement into a functional space unique to you and your family’s hobbies and interests. Design an exclusive work area, a spot to cheer on your favorite sports team or make all spaces flow for the ultimate entertaining setup. A finished basement adds a lot of extra living space and can increase the value of your home. 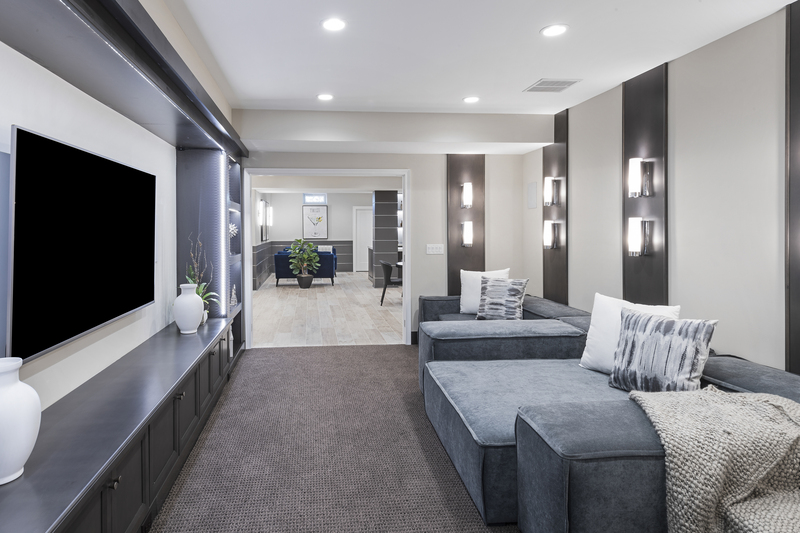 In fact, US News lists refinished basements in its “10 Home Renovations with the Best ROI,” which they state as being 69% of the project price. Best of all, you’ll enjoy the time you and your family get to spend in the new addition. 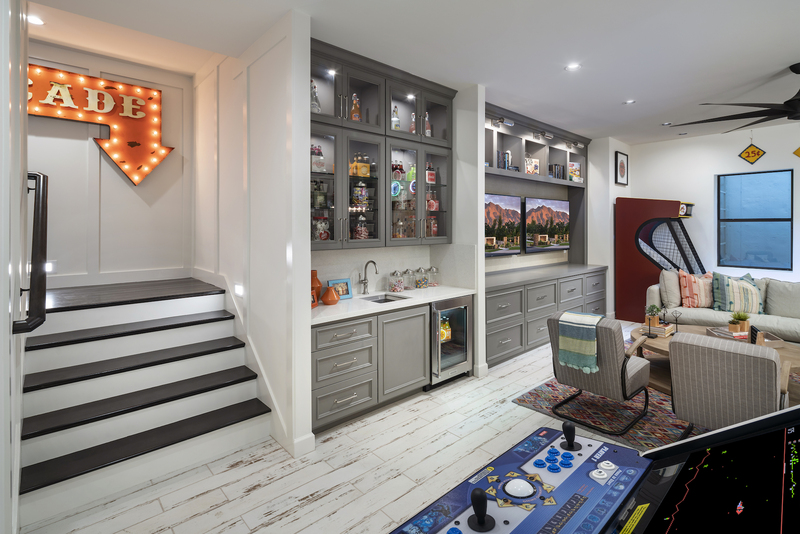 Read on for ideas on how to finish a basement that’s sure to be a fun, useful, and comfortable space. Turning your basement into a beautiful, fully functioning space is a big project. We’ve divided it into three parts – planning, design, and construction – each of which is an important part of the process. 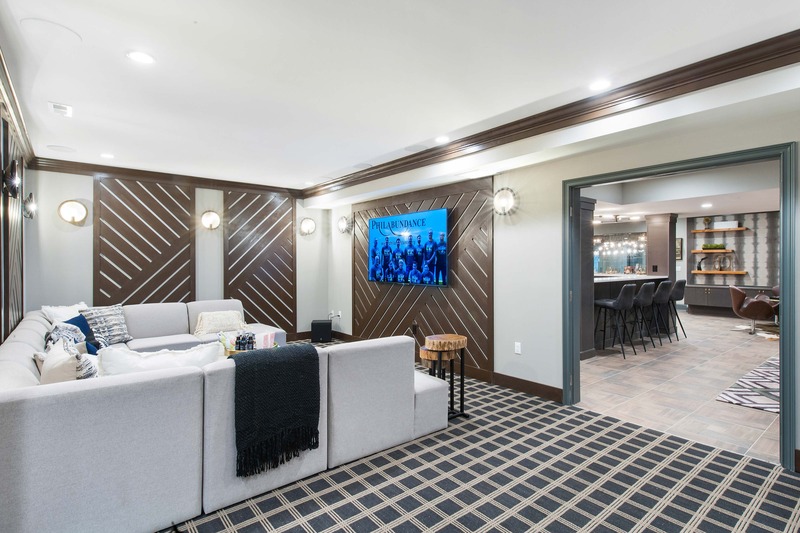 The basement makes the perfect location for watching movies since it is easier to control the lighting. To maximize the drama, most home theaters have a dark, sophisticated color scheme with comfortable seating. Decoist suggests spacing the front seat 10-15 feet from the viewing screen and to complete the look with cool carpet and smart lighting. Children of all ages love having an area to call their own and it doesn’t take too much to make them happy. Floor space is key. There is no need to fill the room with furnishings; instead, focus on organizational units and shelving that will keep toys organized and within reach. Then, encourage your kids to play and be creative. They can use the floor to build castles, race cars, play board games, dress up, and much more. You can always keep a folding table and chairs handy for the days they want to make crafts, draw, paint, or build a fort. 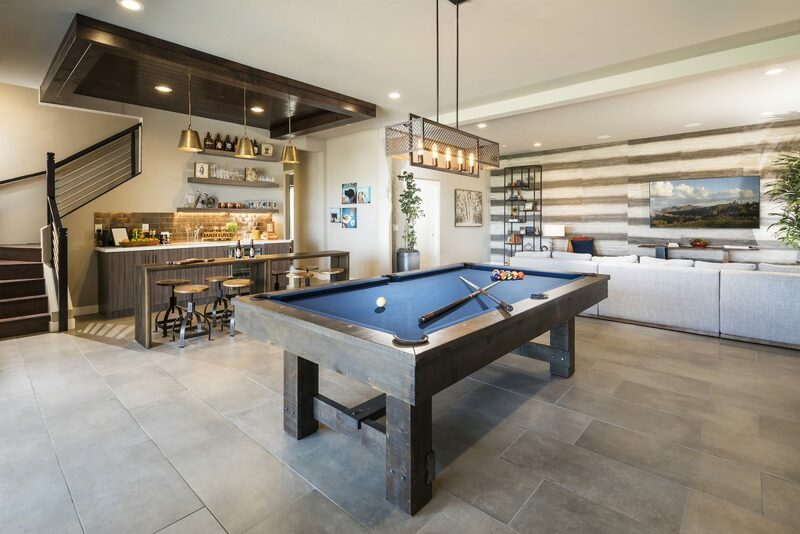 From video games, pool, ping pong, bowling, and shuffleboard to poker and arcades, a game room is a place the whole family can enjoy. It also makes a great place to entertain. Just make sure you have appropriate wiring, soundproofing, and dedicated wireless network for online gamers. 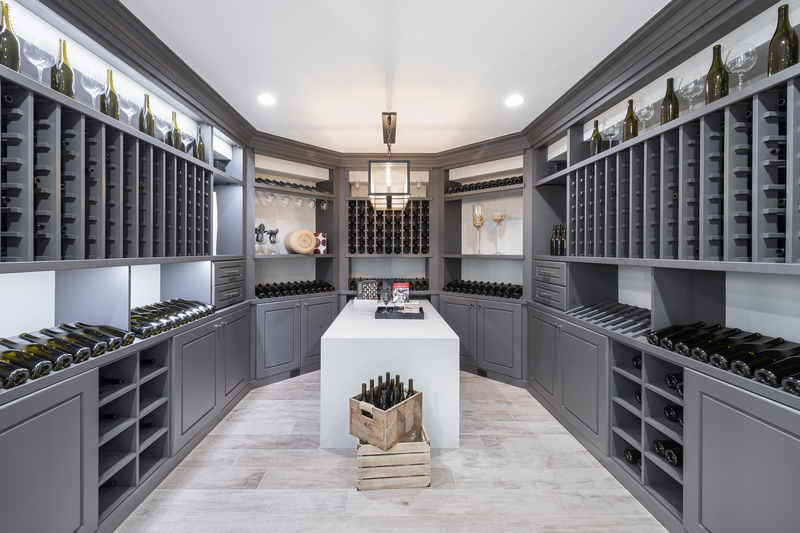 According to Marketwatch.com, the popularity of wine is rising, which makes wine cellars a favorite among budding wine enthusiasts and established connoisseurs. The optimum basement location is in the darkest, coolest area. The temperature of the room will need to stay around 55 degrees Fahrenheit and humidity controlled at 57%. Shelving can be customized to display and store your wine or you can opt for ready-made metal or pine racks. Either way, you’re sure to enjoy pulling out a bottle and sipping with friends. Once you determine how you want to use your space, you will need a detailed basement design. Start by measuring and drawing your walls, followed by doors and framing breaks, electrical outlets and switches, and plumbing fixtures. Creating the design yourself will make sure you’ve thought through everything you want in your basement. 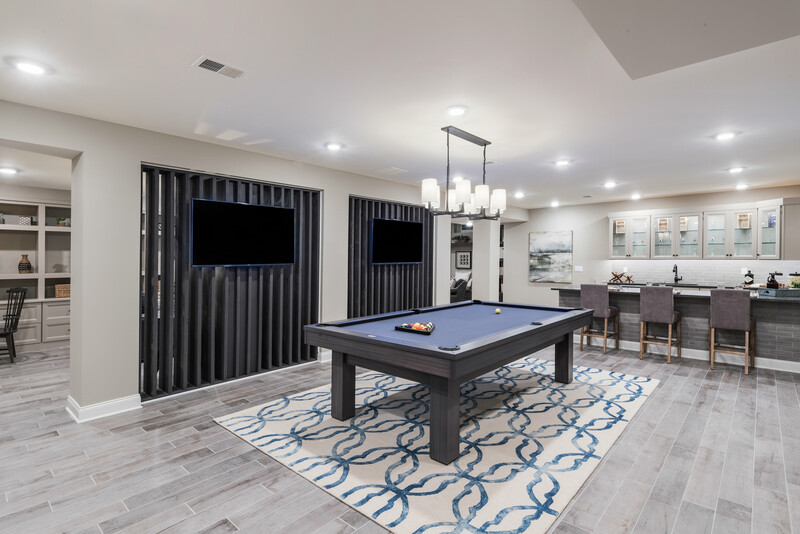 One of the benefits of new construction homes is that you can ensure that your basement is a space that’s built to your family’s exact needs. 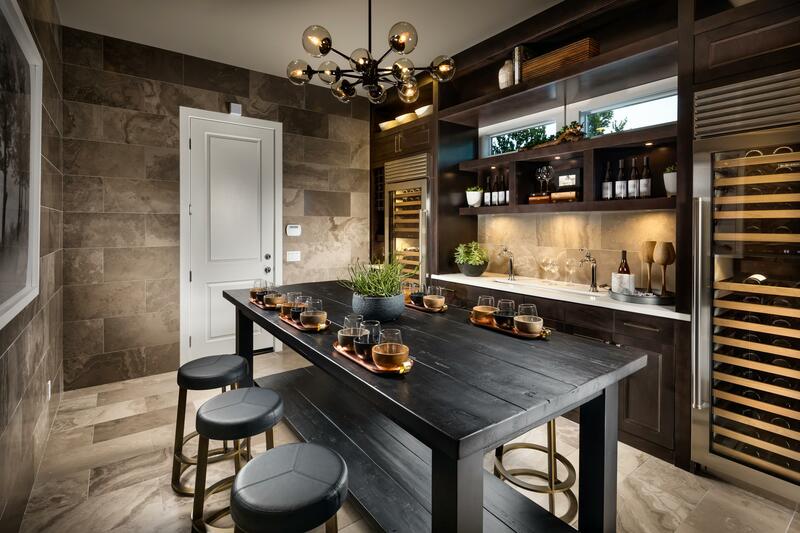 Should you decide to build your dream home with Toll Brothers, our team of construction and design experts will guide you in the selection of the perfect options for your home, from the basement to the backyard. Finishing a basement can be tricky. Aside from moisture issues, a home’s heating, plumbing and electrical units are typically commanded from this area. All these items need to be considered when deciding how much of the work you want to do yourself. If DIY is your plan, make sure you get a permit and get your work inspected along the way to ensure everything is done correctly and is safe. To see the possibilities available today in a successfully finished basement, and to check out fully decorated model homes, visit Tollbrothers.com for a complete list of new home communities near you.